Careful with your fancy dress, you don’t want your Christmas baubles caught in the rowing machine! 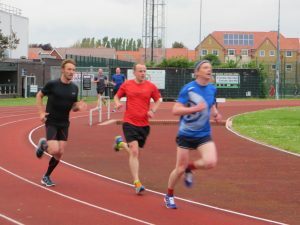 Tuff Fitty’s weekly track session. (c) or simply anyone with porcine tendencies! A festive hat is often applauded! Meet in the car park ready to run, (festive accoutrements optional), for a run of 4 or 5 miles to work up an appetite, and run back to Crossbush for their all you can eat Breakfast. 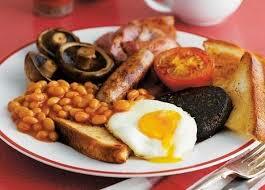 Tea/Coffee, cereal, yoghurts, croissants, toast and a full cooked breakfast, eating as much as you like. The cost has gone up slightly from last year – now £9.50, but if you consider how much a mug of Costa coffee costs, then you only need to have 3 cups of coffee to get your monies worth! As we will have a block booking, may I suggest that everyone pays £10 so that we can give a small tip? There is a cheaper, healthier (?) continental option at £7.50. 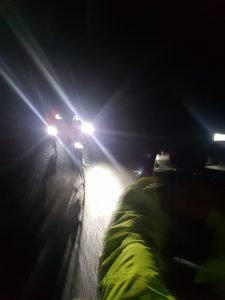 Following on from the success of the first Tuff Christmas Night Ride last year, the second will be held on Friday 21 December 2018. The start and finish point is the Worlds End in Patching so if you do not want to ride there is the opportunity to join those riding for a drink and a bag of nuts! The route is the same as last year, a bit of flat with a few climbs – nothing too challenging! Please make sure you wrap up warm, your bike is well maintained and you have good lights as most of the route is unlit! A run early on Saturday morning can set you up for the weekend. 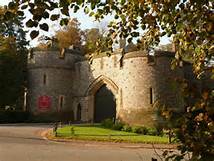 Meet in Mill Road Arundel by the lower Castle gates. As an early start no need to arrive very early, but the runners cater off at 7:30am. A variety of routes up into Arundel Park, or across to Rewell Woods or a run out to Warningcamp and Angmering Park. As a minimum the route is usually up to 10 miles but for those undertaking spring marathons the mileage does tend to rise through the Autumn heading up towards the South Downs. The route is ideal for some undulations and usually is off road unless the weather conspires against us. A great way to start the weekend, have you tried it yet? Welcome to the official site of the Portsmouth Coastal Waterside Marathon. This will be the 8th year for the Portsmouth Coastal Waterside Marathon. 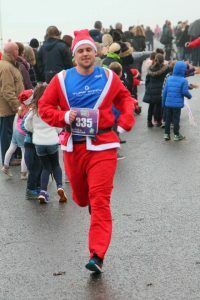 If you like to run something slightly different just before Christmas then this is for you. Full Marathon running from South Parade Pier to the end of the Hayling Billy Line and return. A unique multi terrain marathon with some fantastic views across Langstone Harbour. Don’t fancy a marathon? 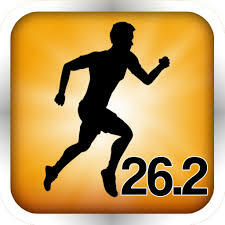 Then share it with a running buddy and do the relay marathon, with each runner completing a 13.1 mile section. As is tradition – Tuff Fitty have hired Arundel Lido for a swim from 9am on Saturday 29th. If people would prefer to cycle over, as you will be aware the site is large enough to bring your bike in. The Lido facility has been booked and paid for so we hope you will be able to come along.